Happy Friday, TPS Nation! If you came in search of an insightful and inspiring post, you’ve come to the right place! I read this piece and found myself (mentally) standing beside my desk, applauding. I feel like we’re all taking a very special journey alongside today’s writer, Jennifer Devine. You want to know what is incredibly cool? To see another human being not only acknowledging, owning, and embracing her true potential, but shining it out into the world. When that happens, people become inspired, and before you know it, countless others begin to emerge – owning, embracing, and shining right alongside her. 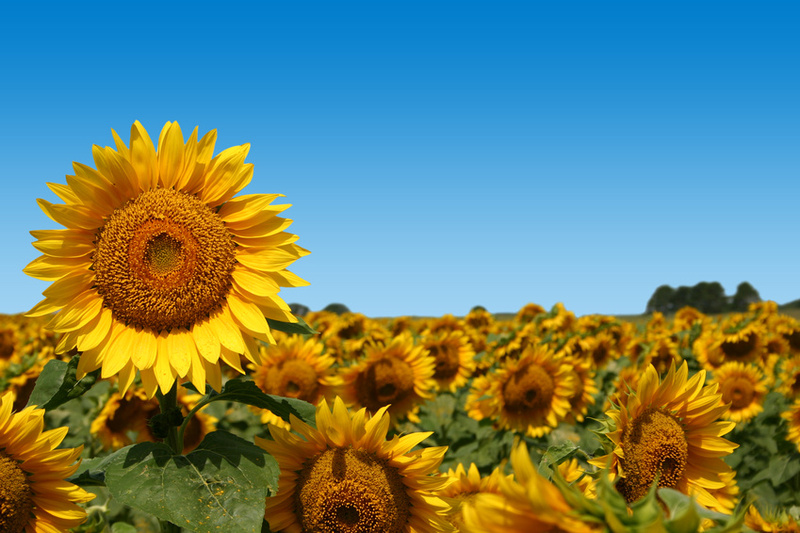 Many years ago, I had the pleasure to see vast fields of sunflowers blanketing the French countryside, and they are the inspiration for today’s lesson: To flourish you must turn your face to the sun and drink in the richness of your surroundings. Yesterday my roots were constrained within my paralegal flower pot (my office), my head drooped like a neglected tulip, and I relied on others to provide career sustenance. Today, I wrenched free of my solitary existence and attended my first face-to-face networking event! I sought the warmth of like-minded people and allowed myself to draw on their energy, learn about them and their passions, and likewise offered a little bit of myself up to them. Knowing my shy self, the way I do, preparation is power. Well, to be fair, it is a false sense of control, but that helps me get through. I read, prepared, researched, agonized, took notes, tried on outfits, triple checked the meeting details, programmed my GPS for the drive, and finally faced the day of reckoning with somewhat less trepidation than I would otherwise have had. There is a dizzying amount of information available on networking for introverts — 10 tips here, 5 tips there, 3 things to always do, 3 things to never do, ways to stand out, ways not to stand out, do this, don’t do that, smile but not too much, shake hands but not too hard, make eye contact but don’t stare — and after all that reading I was feeling dizzy. I won’t regurgitate my research here since I know you are all more than capable of sending yourself into a similar head spin. Wear comfortable clothes that make you feel nice, confident, professional, pretty/handsome. Get and review directions to the event ahead of time and allow plenty of time to get there. Going into a nervous situation is bad enough, why make it worse by worrying if you are going to be late?! Take a ‘freshen-up’ kit along with you, find a quiet place to put on some finishing touches. First impressions ARE important. Remember that you are not the Queen of England, people ARE NOT staring at you. Warm up to the host/hostess upon arrival, he or she can introduce you around! Summon those “20 seconds of insane courage” and make them count. Starting conversations is like eating your veggies; get on with it while they’re warm lest you have to choke them down cold. (Be honest, we all know Mom was right, and so is the fabulous Ms. Collins in What Stands Between You and Success – About 20 Seconds). Use the name of the person you’ve just met. I have been practicing this around the office, just so it doesn’t sound strange to me. Here in the Midwest, typical office greeting is a somewhat-clipped “hey” or maybe “good morning” so adding a person’s name sounds formal or awkward to my ear. Have some icebreakers handy to start conversations. Use them to induce the other person to talk about themselves; What do you do? How did you come to do that? What do you like most about it? Least? What is most challenging? Is there anything I could do to help? Where are you originally from? How did you come to live here? Pay a compliment if the opportunity presents. Who doesn’t appreciate a compliment and more than likely remember who paid it? Like a young contender, clad in my armor-of-preparedness, impassioned by my quest and heart in my throat, I stride into the arena ready to battle my personal nemesis — introversion. [Cue dramatic music.] A hush falls over the crowd as the dust begins to clear. Spectators are craning to see who will be the victor. At long last, the champion emerges, bloody and beaten but alive. With her head held high, and a new-found light radiating from within, she dusts herself off and exits the arena knowing she has the skills to win this contest over and over again. All drama aside, I really did enjoy the event and consider my effort a complete success: I met good people and learned about their aspirations; received an invitation to a Lean In (by Sheryl Sandberg) discussion and mentoring group meeting; offered to help a virtual assistant company owner who is thinking of adding a paralegal component; and have a potential new client referral. This particular event was for the purpose of networking, so I found the “circles” of people opened to newcomers much more easily than at a strictly social event. If you are interested in giving in-person networking a try, I highly recommend first seeking out events that are dedicated to networking and meeting new people. What worked for me? Pretty much all of the above paid off. The preparation really did help me feel more comfortable and I am glad I invested the time in doing it. That said, if lots of information overwhelms you, definitely limit your research. I kept moving, chatting in short-ish bursts, repeatedly summoned that courage to talk to people, used names a lot and with success, and those icebreakers were invaluable to keep the other person talking, limiting the talking I needed to do. What didn’t work for me? Paying compliments. While I still really like the idea of this point, the interactions moved too quickly, and I probably need practice at thinking faster and more strategically, to make this work. Chatting up the host early didn’t pan out either. This lady was very busy! I spoke with her three times during the evening, about a number of things, and never got around to talking shop. We did end the night agreeing we ought to have coffee sometime. In retrospect, for an introvert, glomming onto the host would likely have been counterproductive and prevented me initiating conversations myself. What did I learn and what will I do differently next time? I am pretty sure I am not terrible at this socializing thing when I really put forth an effort. I can contribute. I can help others. I actually had two people say that they noticed me moving around and talking, thought I was doing really well, and wanted to tag along! “Why are you here tonight?” is a question I was completely unprepared to answer. I am not looking for a job. I am not looking to change careers. I am not trying to drum up business for the firm. As you readers know all too well, we paralegals are the all-too-often nameless, faceless, tireless hamsters that keep our attorneys’ wheels turning. I want to be that and more. I just haven’t figured out what the “more” is yet — though there is more to me today than there was yesterday. You have the power to grow yourself. Seek out your sunshine. Draw on the passion of those who could inspire you. Give of yourself to nourish others. Reach up, reach out. Flourish. How’s that for candid, personally vulnerable, and inspiring, TPS Nation? We are incredibly proud to feature the work of Jennifer and other aspiring writers on The Paralegal Society. If you feel you have something to share with the world — reach in, reach up, and reach out. You can contact our Founder, Jamie at: jamietheparalegal@yahoo.com to suggest a few topics, and become our next favorite Guest Contributor. Please take notice of our new Spring/Summer posting schedule, so you’ll know when to circle back to the paralegal playground! Here at The Paralegal Society, we want you to know that we value quality over quantity. Our goal is to provide you with relevant, helpful, educational, inspiring posts (legal and otherwise) from our inner circle of TPS Mentors, and esteemed Guest Contributors. As we move into the warmer months, we will continue to provide our “Major Monday” posts, and lead you out with a traditional “Friday Eve” or “Fun Friday” post at the end of each week. To recap — be sure to stop by every Monday & Thursday/Friday. Bravo, Jennifer! You put a tear in this fellow introverts eye. It was as if you crawled into my brain and pulled out the dream sequence of what I envision the perfect social/networking event to be. Thank you for the preparation tips. Maybe I will go to the next event and not be so anxious. Thank you Jamie for sharing this on TPS. Another quality post! Happy Friday Everyone! What a profound concept! I like thinking of it that way – that my experiences yesterday (and all my yesterdays) have made me more than I was before. More prepared. More better (excuse the grammar – you get the drift). More me. I am not what I would consider to be a shy person but I think anyone would be intimidated going to an event alone and introducing yourself to lots of people. I tend to keep something in my hands so I won’t fidget like a drink or hor douerve. I sometimes will sidle up to a conversation that looks open and inviting and will find an occasion to remark on something said, allowing me to engage without being too forward. I also find preparation helps soothe the nerves and I think it’s a very smart thing to do, even if, as Jennifer said, it’s more an illusion of control than anything. Very nice, Jennifer. I can say that I was unprepared for my first NALA conference, the intervert that I was back in 1996. I attended the Early Bird Reception and Orientation with much apprehension. However, one of the first paralegals I met was Vicki Voisin, NALA’s President at the time. She was warm and charming making the butterflies temporarily go away. Every other conference has been much easiler and enjoyable. Depending on the type of social networking function you are attending depends upon how lasting some of the connections may be. Networking really does take preparation and practice. Thank you, Jamie, for this wonderful post by Jennifer. I too really liked ” . . . there is more to me today than there was yesterday.” Kuddos!